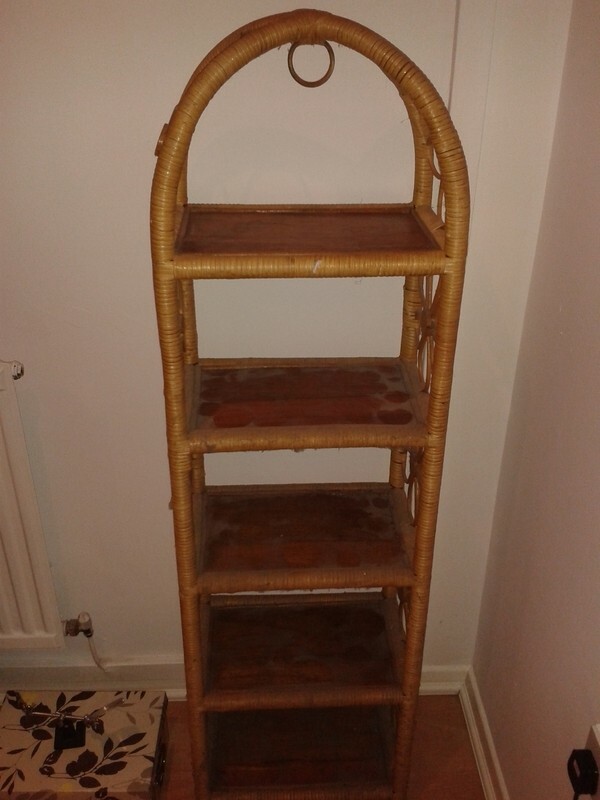 This wicker shelving unit has been in my parents house for as long as I can remember. I’m not sure how old it is, but it was my Gran’s. It was in good condition, but needed some TLC… and a clean lol. First I vacuumed it with a small bristle brush attachment, then went over the smaller nooks and crannies with an old tooth brush. Then I used a clean cloth and the toothbrush with some warm water and diluted mild soap to clean it. I dabbed it to dry up most of the water with a dry cloth, then let it dry overnight. 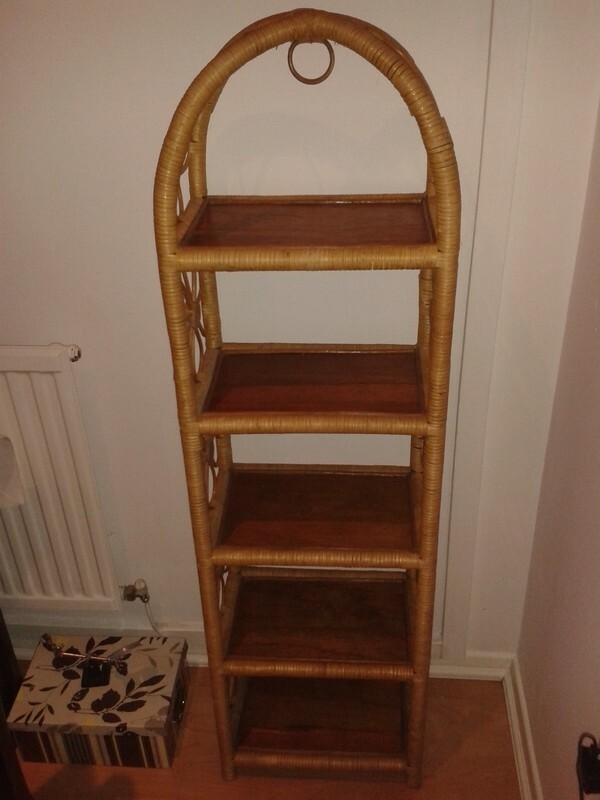 One method to reviving wicker is to paint it, but I want it to be as much to the original as possible, so decided staining it in the original colour, which is “blonde”/almost pine in colour, would be great. I did some reading and the majority of websites recommend oil based stains for wicker. Before staining, tidy up any loose strands of the wicker with a small pair of scissors. You could use nail scissors. For the staining, use a clean cloth and wear gloves. Stain can be fummey, so I’d recommend doing it outside if weather premits and undercover – you don’t want to get the wicker wet!